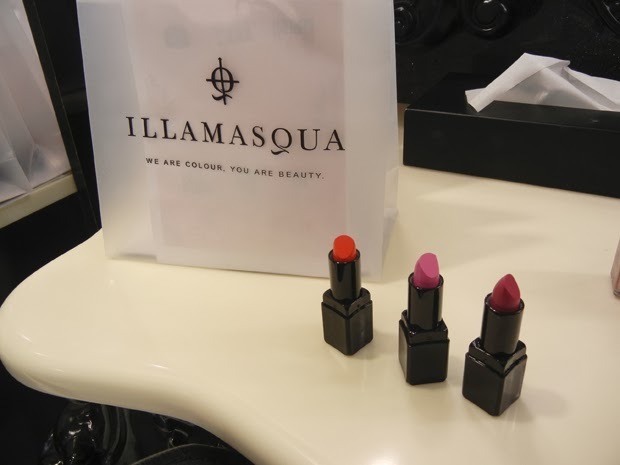 The other night, I visited Bloomingdale's for the launch of Illamasqua's new spring collection, Glamore. It is very much inspired by old Hollywood Glamour and the beauty of the 1940s synchronized swimming (therefore, the inspiration behind the hats in their ads are reminiscent of the swimming caps). 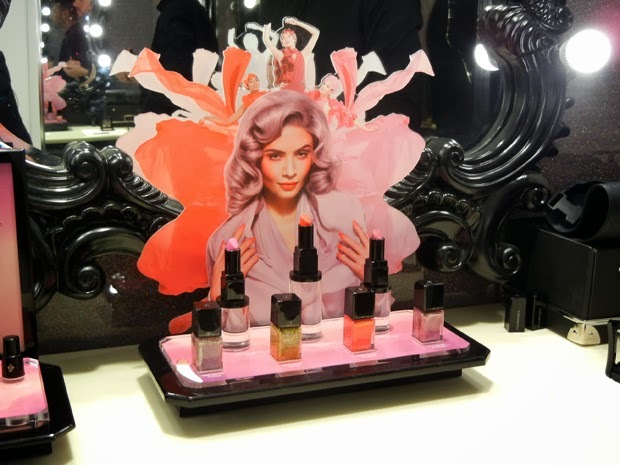 Guests were able to sample the collection and have makeup done by Illamasqua's International Trainer, Ross Andrewartha, who is such a sweetheart! He shared some application tips and spoke more about the collection. I had the Glassade shade of lipstick applied on, which is a berry pink, and has a satin finish. It feels light and adds the perfect amount of shine. It also stayed on for a long time! Ross added a touch of the skin base lift, to give a bit of a dewy glow - I absolutely loved it! The gold shade is exclusive to Bloomingdale's. me with Ross after he touched up on my makeup! 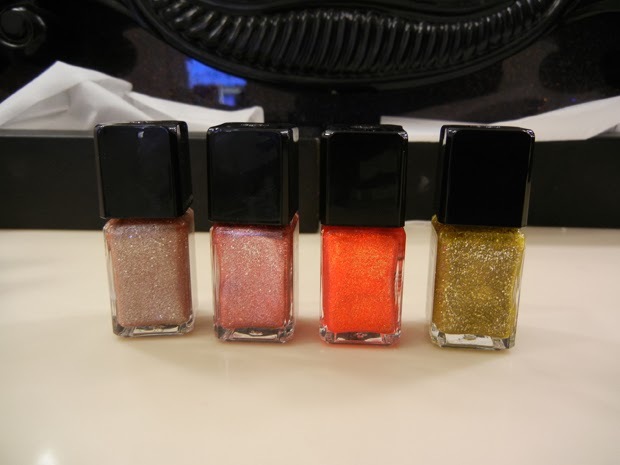 Those nail polishes are so pretty! 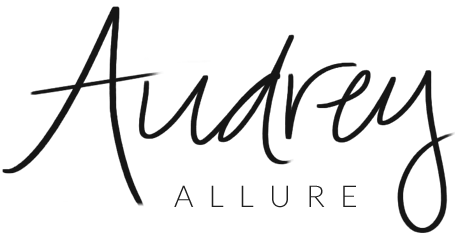 Beautiful Audrey! I love illamasqua's lipsticks, one of my faovurites!